SIGNORET, by Anabaa. 7 wins from 1050m to 1900m, A$104,400, ATC Australian Turf Bowlers H., Adina Apartment Hotels H., 3d ATC TAB Sportsbet H. This is her second foal. Her first foal is a 2YO. Signoret. 7 wins. See above. El Tegra. 13 wins from 1200m to 1700m, A$111,674 in Aust. JAMEELA (Jeune). 5 wins. See above. JEUNE'S MARK (Jeune). 7 wins from 1200m to 2400m, A$216,955, TRC Hobart Cup, Gr.3, VRC Shaftesbury Avenue H., SAJC Clay & Mineral Haydons H., Redbrook-Invicta Carpets H., 2d MRC Principality H., Oakbank RC Rex-Lok Rail Clip Country Cup, 3d VRC Sky Channel H., SAJC Channel 7 H.
Liquid Lunch (Fraar). 13 wins-1 at 2-from 1200m to 4500m, A$538,995, VRC Jayco Caravans H., MRC Bramerton H., VRC BR Smith Hurdle, Grand National S/chase, MVRC Ian Macdonald S/chase, SAJC Grand National Hurdle, VATC Burberry H., 2d MRC Lincoln H., Warrnambool RC Galleywood Hurdle, MRC Captain Peri H., Greater Dandenong Cup, Sweet Nell H., Kilmore TC Spring Cup, 3d TRC Hobart Cup, Gr.3, MVRC Carlton Draught H., VRC Flemington 1840-2003 H., VATC Oakleigh AFC H., 4th TTC Launceston Cup, Gr.3. Silk Wind. 9 wins from 1200m to 3000m, A$243,236, VRC Baystone H., MVRC Arrow Training Services H., SAJC Keen Office Furniture H., Congratulations Jim Smith H., Distinctive Homes Distance H., 2d VRC Warrior H., SAJC John Phillips Racing Group Quality H., Alsaleet at Glenrae Stud H., Walter Brooke Architects H., Darwin TC Northern Territory Derby, MRC Saint Warden H., MVRC Puckle Street Newsagency H., SAJC Heggies Vineyard H., Schweppervescence H., Schweppes H., Scotts Transport Industries H., 3d VRC Mapperley Heights H., MRC Captain Peri H., Fileur H., MVRC Bill Deacon Memorial H., Members Equity Bank H., Sedac Electrical H., SAJC Snaadee at Emirates Park 2YO H., Marsh 2YO H., Coolmore Australia H.
Macca's Mount. 7 wins from 1300m to 1800m, A$153,920, SAJC Allan Scott Park Morphettville H., MRC Waranton H., SAJC Jeffries Landscape Supplies H., Mistral H., Skycity Adelaide H., 2d VRC Bruce Gadsden H., MRC St Razzle H., SAJC Laser Linings H., Marsh H., City of Charles Sturt Hoteliers H., 3d MRC Century H., Gold Stakes H., SAJC Hope Skip & Dump H., Pope Packaging H.
Majestic Mount. 4 wins from 1200m to 2050m, SAJC Chrysler Jeep Dodge H., Be Trackside Cup Day H., 2d SAJC Distinctive Homes H., 3d SAJC Carlton Draught P., Skycity Adelaide H.
Walk Lightly. 3 wins at 1000m, 1200m in Aust. Producer. NIGHT KNIGHT - STEEL ROD (H.K.) (Without Fear). 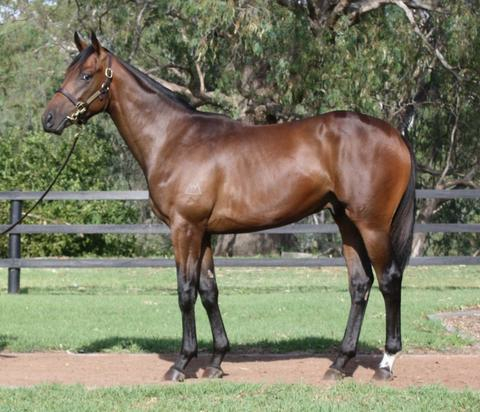 3 wins-2 at 2-to 1400m in Aust. and HK, VRC Flemington S., L, SAJC Balcrest S., 3d SAJC Da Costa P., L, Disneyland H.
MOON MADNESS (Without Fear). Winner. See above. Siberian Express - Retribution (Mal.) (Danzatore). 7 wins-1 at 2-from 1200m to 1700m in Aust. and Malaysia, SAJC New Gleam H., Prince Plea H., 2d VRC Gibson-Carmichael S., L, 3d SAJC Aurie's Star H.